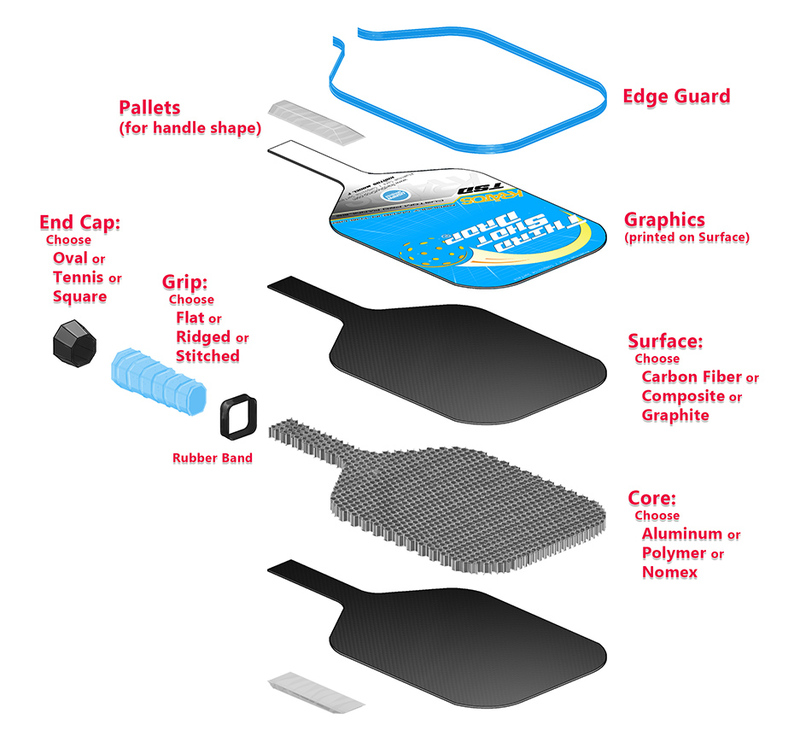 We offer three types of replacement grips for your paddle. 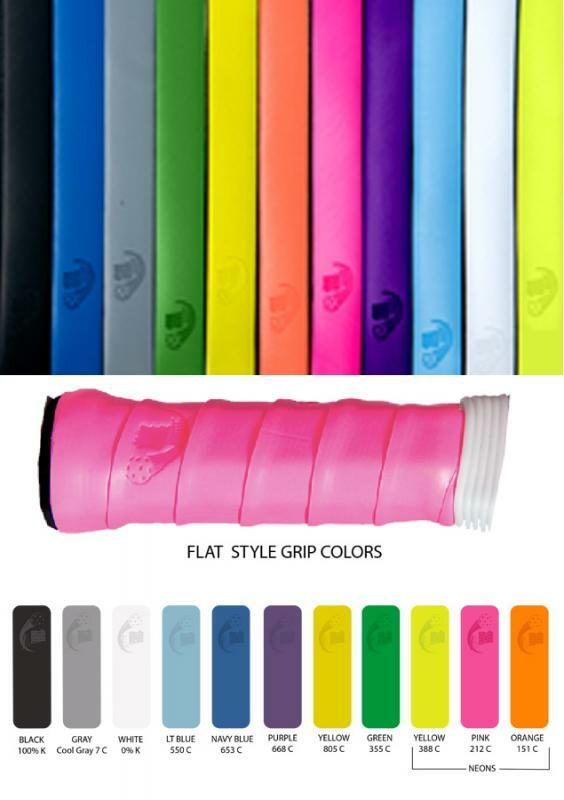 The flat grips are slightly tacky and are best for players who play in hot weather and have trouble with their grip when their hands are sweaty. 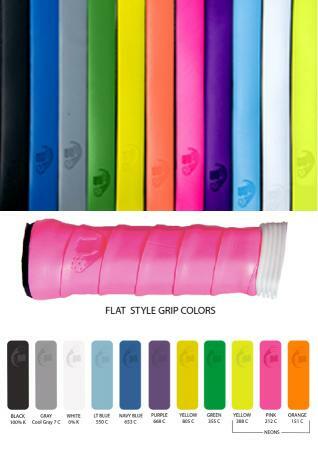 The flat grips come in 11 colors. The ridged grips are slightly spongy so they conform to your fingers. The ridges fit comfortably between your fingers for a solid grip on the paddle. Ridged grips are available in 11 colors. 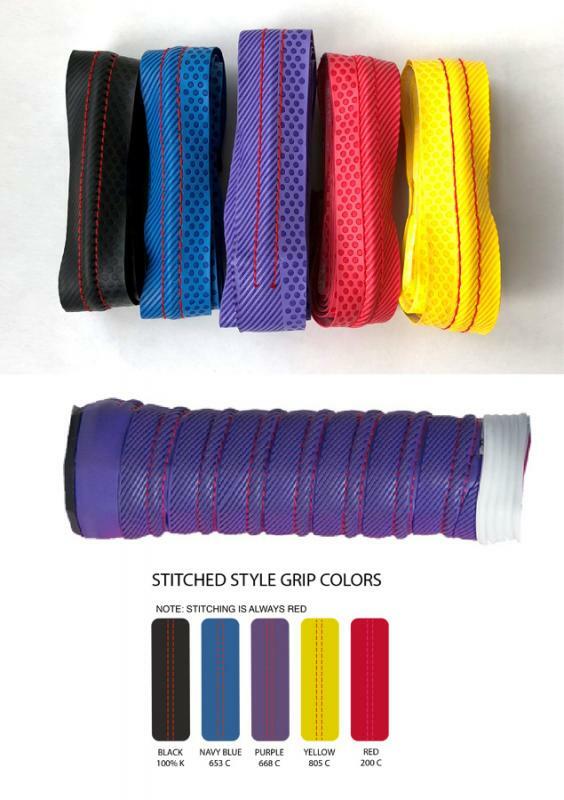 The stitched grips have a nice comfortable texture with a slight raised ridge between the stitching. These come in 5 colors. Our Third Shot Drop double wide premier wristbands come in 6 bright colors. These are great for both keeping your paddle hand dry and wiping the perspiration from your face. 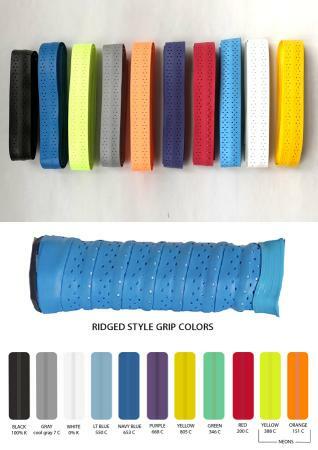 They are extra long to give every player a better grip and soft enough to wipe your face without irritating your skin. 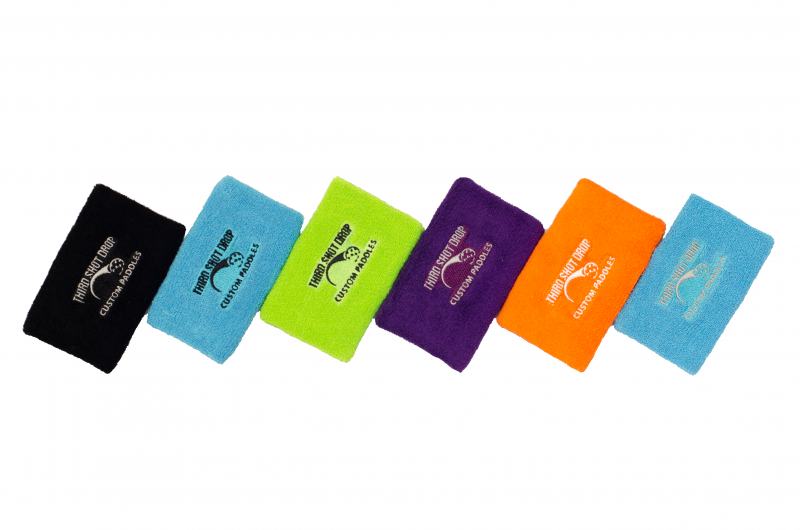 The Third Shot Drop Premier double wide pickleball wristbands are super soft to the touch and highly absorbent. These wristbands are perfect for keeping you dry and comfortable on the courts. Sold in pairs.